A man from the year 2688 is sent back to the past in a time machine disguised as a phone booth to ensure two future leaders of the world played by Reeves and Winter pass their history exam. 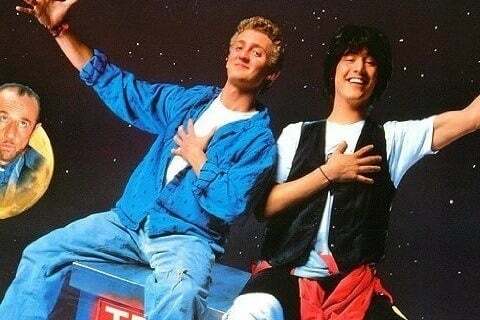 Two years later a sequel called Bill & Ted's Bogus Journey was made. The quote "Excellent!" was nominated for in AFI's 100 Years...100 Movie Quotes 2005.